Michael L. Hawkins graduated from Centre College in Danville, Kentucky in 1992 with a degree in Economics. 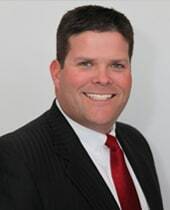 He received his law degree in 1995 from the Salmon P. Chase College of Law in Highland Heights, Kentucky and became a member of the Kentucky Bar Association in 1995. From 1998 until 2001, Michael was a partner at Cleveland & Hawkins, L.L.P. and served as an Assistant to the Commonwealth Attorney in Franklin County from 1998 until 2004. In 2001, Michael started his own firm, Michael L. Hawkins & Associates, P.L.L.C., which currently employs two associate attorneys and 3 office support staff. The firm handles a wide array of cases in Frankfort, Lexington, Louisville, Shelbyville, Lawrenceburg, Versailles, and other communities throughout Franklin, Fayette, Jefferson, Shelby, Anderson, Carroll, Gallatin, Henry, Scott, Owen, and Woodford counties in Kentucky in various legal areas.